We recently finalized the peer review process of the 29 papers scheduled for presentation at the 2015 AGMA Fall Technical Meeting (FTM). Advances in technology have always played a big role in manufacturing, but this year we are delighted to announce that we have received quite a robust array of papers showing technological advances being tested for further use in our industry. The 2015 FTM will bring you up to speed on some of the latest of these advancements. Historically, the AGMA Fall Technical Meeting has offered its audience the opportunity to hear the latest findings in various fields — such as metallurgy and materials, lubrication, design and manufacturing, and other relevant topics — and to take home practical information that may ultimately affect your company’s bottom line. With the papers selected for presentation, 2015 FTM will be no exception in that regard. 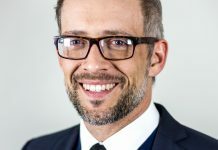 Dr. Hermann Stadtfeld is well-known in our industry for his continued research on bevel gears and their systems. We are happy to announce that he is scheduled to present an overview on the Industry 4.0 initiative, “which promotes the computerization of traditional industries such as manufacturing.” His presentation will look at the big picture in the manufacturing sector and the recent push into what is being called the fourth industrial period. 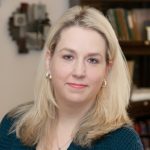 Advances in new materials and techniques will have a huge impact on our industry. 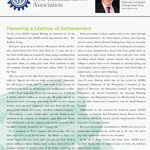 We have put together six presentations in the Materials & Heat Treatment session that discuss new coatings, improved materials to lighten gearboxes, new techniques in gas carburizing and case hardening, and innovation in steel design. Additionally, Anders Flodin will provide an overview on all the latest advancements in powder metal gear technology. We have invited speakers from around the world to this event. Over the course of these two and a half days, you will receive information on almost every sector of our industry. 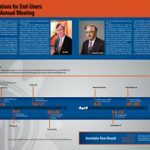 Presenters will discuss new refinements to lengthen the life of gearboxes, investigate worm gear drives, and discuss arbitrary tooth shapes and asymmetric tooth gears. I encourage you to take advantage of all the relevant information this conference will present. And let’s not forget our roots, as many presentations will provide practical information on the standards currently used and being further developed in our industry. Donald Houser from The Ohio State University and Dr. Burkhard Pinnekamp at RENK AG Augsburg will present separate papers on ISO Technical Report 15144. These presentations will delve into the calculation method and methodologies and will discuss practical examples and evidence supporting the use of this micropitting prediction methodology. 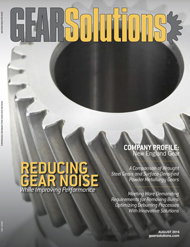 A complete list of the papers that will be presented on each topic can be found in this AGMA section of Gear Solutions magazine, and on AGMA’s website, www.agma.org. The FTM has always been the place to see the latest in research within the gear industry, and this year will not disappoint. You can come for the entire event or just sign up for a single session. And maybe after you learn something new, you’ll want to stay for our other hugely popular event, Gear Expo, which will open October 20, the last day of the FTM. 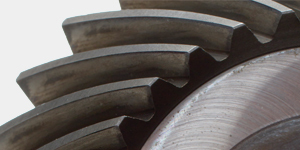 Whether you are new to the gear industry or are a veteran gear engineer, AGMA offers a variety of programs that can help you. 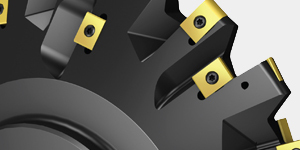 Gain an edge over the competition this year with new opportunities from AGMA. Many of AGMA’s seminars have sold out this year, so make sure to register early to take advantage of the last offerings for this year. 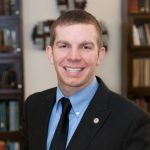 Instructor: Raymond J. Drago, P.E. This seminar provides the gear design engineer with a broad understanding of the methods used to manufacture and inspect gears and how the resultant information can be applied and interpreted in the design process. This course includes a tour of The Gleason Works in Rochester. Take two views of the same results — meeting a specification and determining acceptability for a specific application and interpreting the inspection data for purposes other than simply determining accept/reject status. Specify the data required to control both the manufacturing and inspection processes on an engineering drawing; this includes both the data to be defined and the presentation of the data on the engineering drawing. 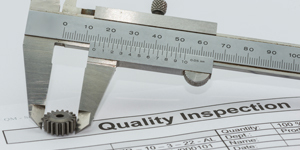 Discuss the basics of a variety of destructive and nondestructive inspection tests, including their underlying theory, application techniques, and, most importantly, interpretation of the resultant data. Please note that this seminar is not a tutorial in the mechanics of machine operation. 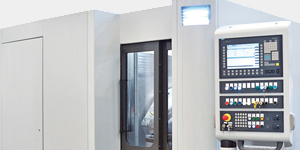 Rather, the content addresses the relation between the manufacturing/inspection sequence and the detailed gear design process. The registration fee will include all meeting materials, scheduled meal functions, and an opening evening networking reception. A certificate will be awarded to each attendee upon completion of the seminar. This course explores all factors going into good gear design from life cycle, load, torque, tooth optimization, and evaluating consequences. Students should have a good understanding of basic gear theory and nomenclature. 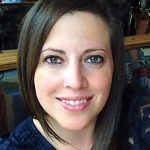 Discuss time dependent and time independent failure modes related to tooth design. Please note that computer-generated animated graphics will be used for examining mesh action and tooth interaction. Each section discussion will be followed by a brief question-and-answer period. The registration fee will include all meeting materials, scheduled meal functions, and an opening evening networking reception. A certificate will be awarded to each attendee upon completion of the seminar. ABOUT THE INSTRUCTOR FOR THESE COURSES: Raymond J. Drago, P.E. is chief engineer of Drive Systems Technology, Inc. (DST) — a mechanical power transmission consulting organization that he founded in 1976. Prior to this, Drago worked for the Boeing Company’s Helicopters Division until his retirement after 37 years of service. Currently, Drago is involved in the analysis, design, manufacture, assembly, and testing of many gear systems. 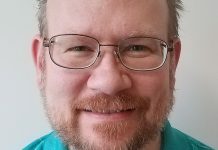 In his role with DST, Drago is active in all areas of mechanical power transmission, including the design and analysis of drive systems in a diverse field of applications from heart pumps to large mining and mill gears. He has also prepared and delivered more than 150 seminars dealing with various aspects of gear design and analysis. AGMA’s Fall Technical Meeting provides an outstanding opportunity for you to receive the latest research in the field, network with your peers, and learn more about the latest methods and cutting-edge technologies utilized in the gearing industry today. 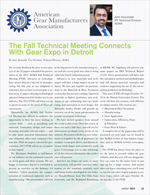 This year’s FTM will be held in conjunction with Gear Expo and ASM’s Heat Treating Society Conference and Exposition at the Cobo Center in Detroit. All FTM attendees will also have access to both shows free of charge. Join us October 18-20 for this year’s FTM. Practical Approach to Determining Effective Case Depth of Gas Carburizing: March Li, Lufkin Industries, LLC. 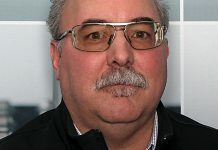 New Refinements to the Use of AGMA Load Reversal and Reliability Factors: Ernie Reiter, P.Eng., Web Gear Services Ltd. Noise Reduction in an EV Hub Drive Using a Full Test and Simulation Methodology: Dr. Owen Harris, Smart Manufacturing Technology, Ltd. 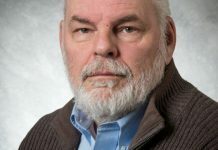 Application of Advanced Mesh Analysis to Eliminate Pinion Field Failures: Terry Klaves, Power Transmission Solutions – Regal Beloit America, Inc.